I have a question for Socrates, When is a Hearing not a hearing? Socrates never wrote a single line. We are told that he spent most of his life in the city squares and marketplaces talking with the people he met. ‘The trees in the countryside can teach me nothing,’ he said. Socrates art rested on his inclination to hold discussions with people rather than seek to instruct or, least of all, judge people. He had an overriding desire to learn from those he spoke with. He worked from the premise of knowing nothing and asked questions, all the while pursuing shared understanding and insight, through connection. Plato wrote a number of Dialogues (dramatised discussions on philosophy) in which he uses Socrates as his principal character and mouthpiece. Lies assume numerous forms in Plato’s dialogues, particularly in the Republic. Plato has Socrates explicitly claim that “some lies can be useful.” In Plato’s discussion, two questions arise with the problem of lies: the question regarding falsehood and its relation to the truth, and the question that asks if something “truly false” can still be useful. It is said that we rest in an era of post-truth politics. The Oxford Dictionaries Word of the Year 2016 was ‘post-truth’ – an adjective defined as ‘relating to or denoting circumstances in which objective facts are less influential in shaping public opinion than appeals to emotion and personal belief’. Think on the noise, claims and counter-claims surrounding Brexit. And then the all too bizarre happenings in and around the Trump presidency. It seems that we can construct ‘truth’ around most anything nowadays, with willing participants ready to oblige and, yes, ‘lie’. 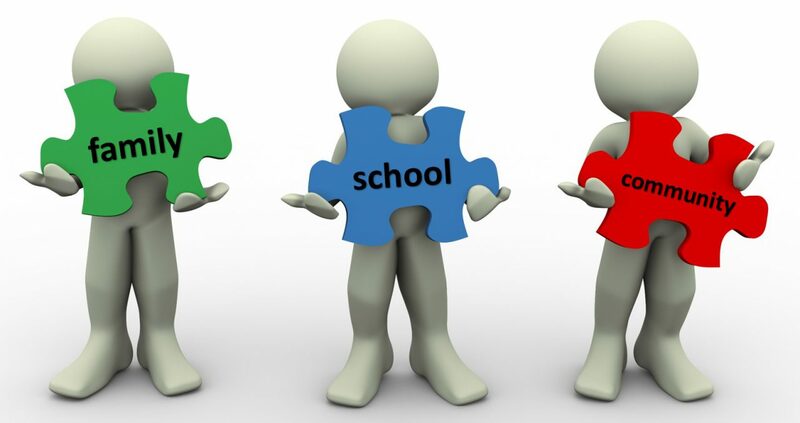 In looking to build capacity across school communities, as explored through this series of blogs, I return time and again to the importance of listening first, in order that we truly connect through understanding. Offer families a Hearing. I explore the use of the terms we use across school, families and communities when referring to one another; stakeholders, partners, allies… friends. I believe that true friends have an interest in the truths that underpin a friendship, have no use for lies, and then accept you for who you are, absolutely knowing and accepting your intentions. It is my view that we, across school communities, can be friends. The journey to that may well leave us feeling vulnerable at times. Intensely vulnerable is how I have felt over the past two traumatic years. I take comfort in the fact that I have received, and continue to receive, incredible support and compassion from so many of those stakeholders, partners, allies… friends who know me and understand me best. I thank each and every one of them. Ho‘oponopono, the Hawaiian forgiveness process, allows us to clear out preconceptions in how we view others to create new connections and rejuvenated relationships. In Huna, the ancient Hawaiian discipline of energy and healing, the ho‘oponopono process is critical if we want to be pono (right and congruent with ourselves). The Hawaiian word ho‘oponopono comes from ho‘o (“to make”) and pono (“right”). The repetition of the word pono means “doubly right” or being right with both self and others. So, ho‘oponopono is a process by which we can forgive others to whom we are connected. All the while, looking within. Socrates, whose mother was a midwife, used to say that his art was like the art of the midwife. She is there to help deliver, rather than give birth herself. Socrates worked on helping people to ‘give birth’ to the correct insight, since real understanding must come from within. Only the understanding that comes from within can lead to true insight. I have much to reflect on as I work on developing true insight, drawing on the many – some painful – lessons life has taught me of late. My question for Socrates remains, When is a Hearing not a hearing? And, maybe… If we are not listening then is it a Hearing?